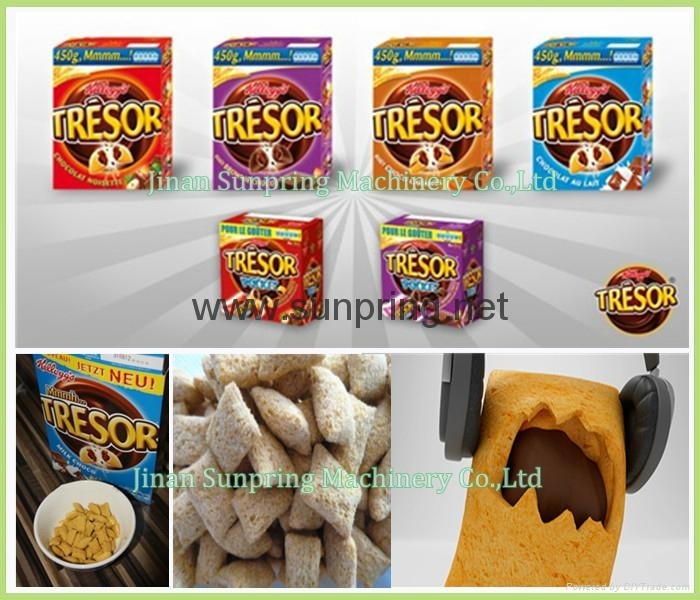 Kelloggs tresor adopts oats, rice or wheat pillow containing a milk chocolate flavoured filling or a chocolate/ hazelnut flavoured filling. 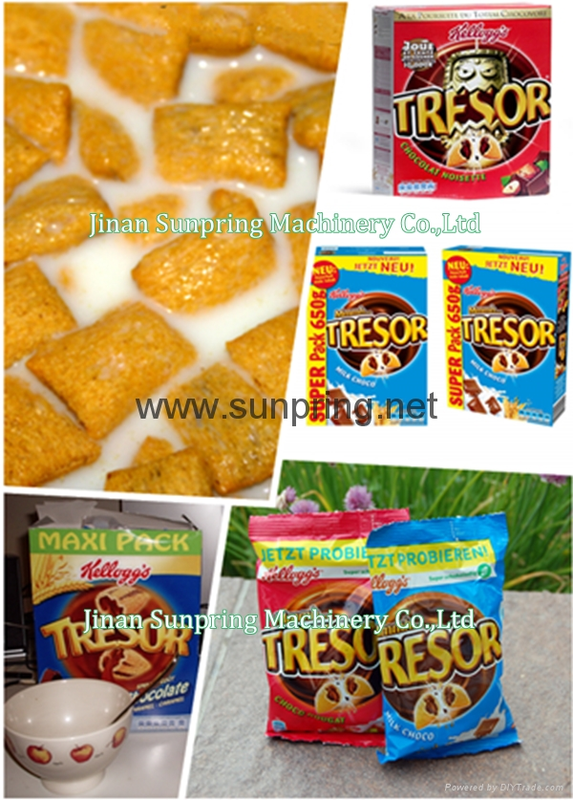 Meanwhile, the soft filling materials include chocolate, cream, jelly, fruit paste, date paste. 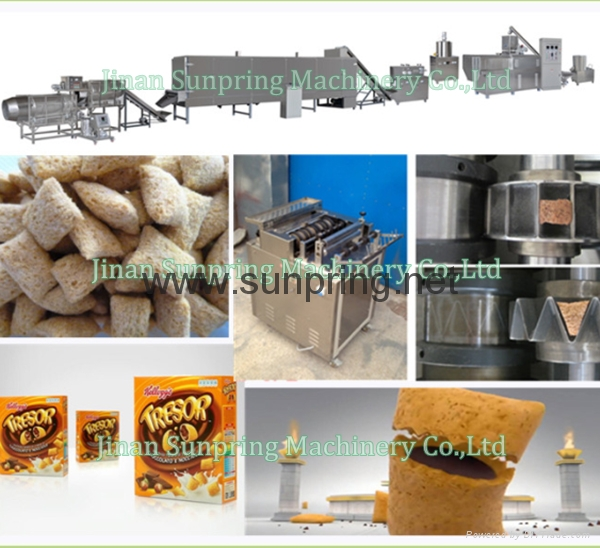 The ingredients of the outer part is generally wheat flour, other grains four, such as rice, corn, barley, rye, oats, sorghum etc. b. 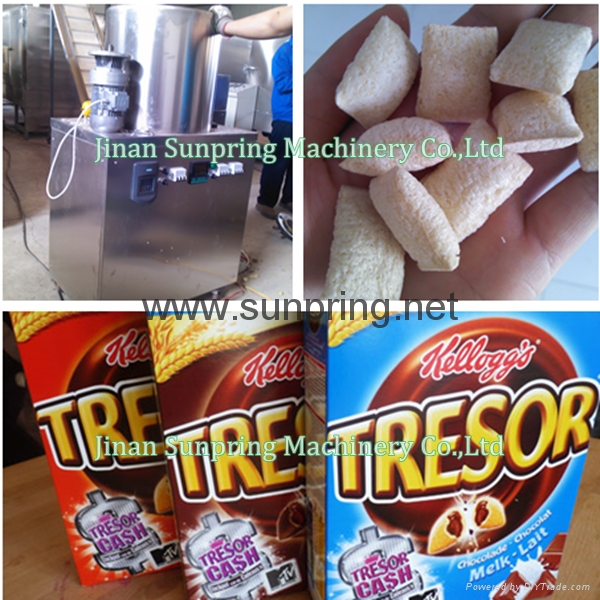 Products variety shapes can be get by adjusting the die from extruder, such as pillows, tubes, bars, long and short ovals, heart shapes. 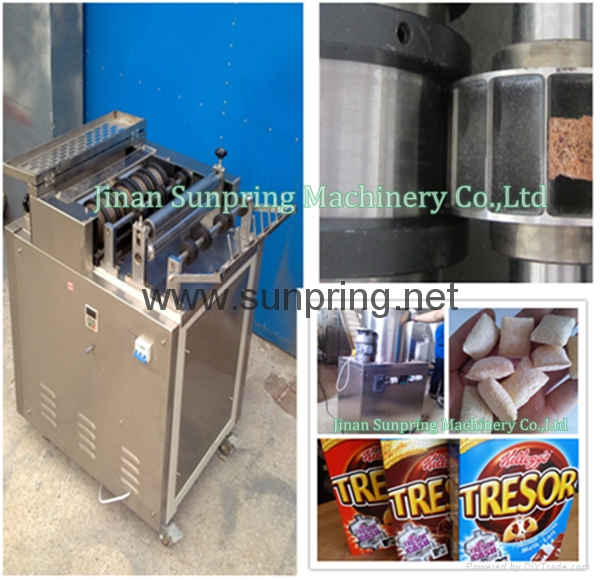 Also can produce snacks cereals etc. 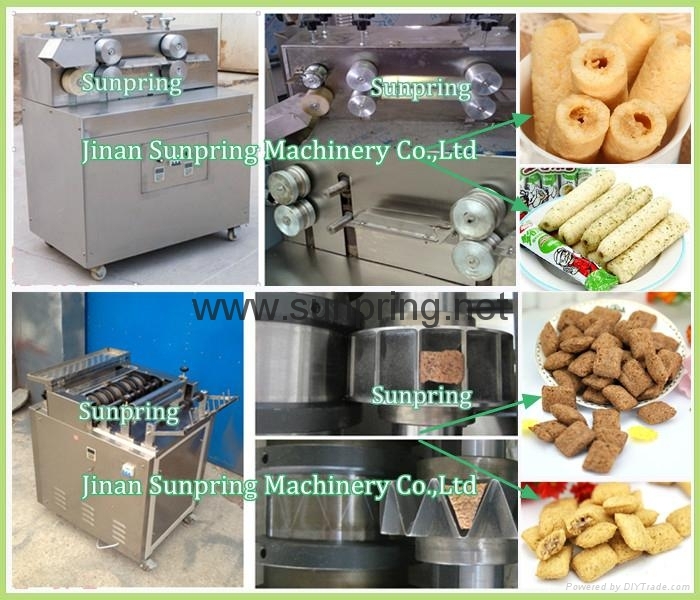 Jinan Sunping Machinery & Equipment Co., Ltd. is a professional food machinery manufacturer in China, we are able to supply niche markets for different countries clients, so more and more customers choose to trust us and the annual turnover increasing year by year. 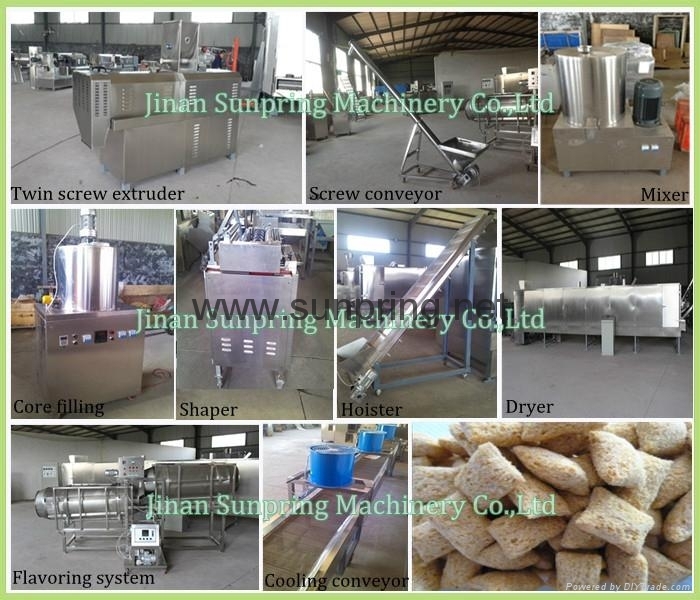 If you are a newer for this industry, hope we can assist you to construct your factory in local and to understand the machines. If you are a experienced in food industry, we hope to establish mutually beneficial trading relations between us and expand your business.